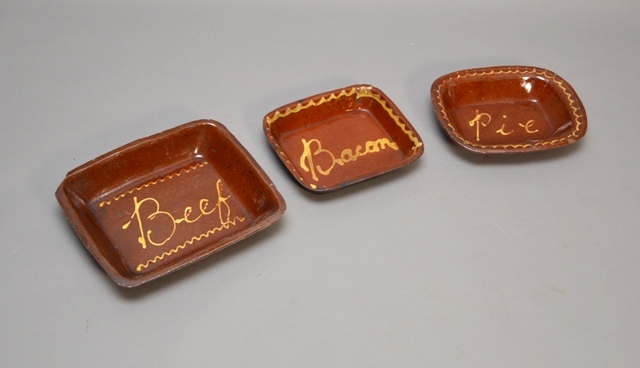 Three Buckley pottery dishes inscribed with Beef, Bacon & Pie, all well used with some damage. 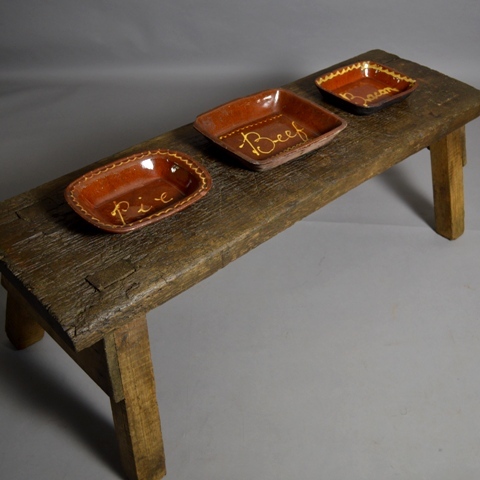 They would look wonderful on a dresser. They are for sale individually.